I've had the call for over 4 decades now. It is the exotic, intoxicating and often toxic siren call of the UFO - an "alien dance" played out in the fields of a bizarre "Great Game." Throughout this period science has been my enduring touchstone, but it has been a strange and often conflicted relationship between science and the UFO phenomenon. While at times it is a sorry and frustrating story, the endurance and the reality of the UFO phenomenon explodes the shackles of ridicule, marginalisation and ignorance. The UFO story is one that most people think they know. The reality is that most people barely know the impressive depth and complexity of the phenomenon. Nor do they appreciate the astounding reality beyond the side shows that are often put up as caricatures of the real mystery. More than 40 years of engagement with the UFO mystery have for me been a personally enriching and fascinating life experience. The length of that journey has not diminished my interest in the subject. Indeed now I feel a greater sense of making some real progress, albeit tentative and subject to the limits of resources and opportunity. 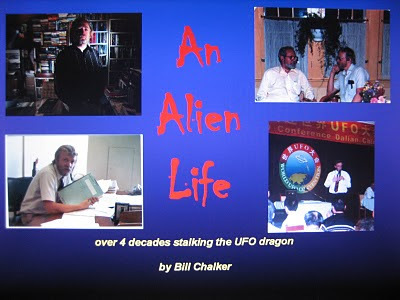 My primary focuses in my lectures at the Adelaide AURA UFO seminar will be Science and UFO Research and the Alien Abduction controversy, but I will be covering UFO physical evidence, the official Australian engagement with the UFO subject, the Chinese UFO experience and the alien DNA paradigm.